The Medium Petmode Plastic Aviation Crate allows for safe and comfortable transportation of pets, particularly over longer distances. Approved by the vast majority airlines under the International Air Transport Association (IATA) Guidelines, the carrier meets global aviation standards for airline safety and security. It is important to check with the airline you are travelling with, before purchasing a travel crate, to ensure they do not have any further requirements. The Wing Nut fasteners and easy to use Door Catch prevent pets from escaping from the carrier. All internal edges are smooth and rounded, with no sharp projections on which the pet can injure itself during transport. The container is leaf proof, with a moat in the floor to catch liquid and ensure the animal is not forced to stand in urine throughout the journey. The carrier is also easy to handle, with a strong handle on top for lifting and carrying, and has multiple ventilation openings to ensure optimal air flow. 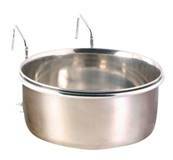 A water bowl, which is included, attaches to the front of the carrier to avoid spillages and keep your pet hydrated. 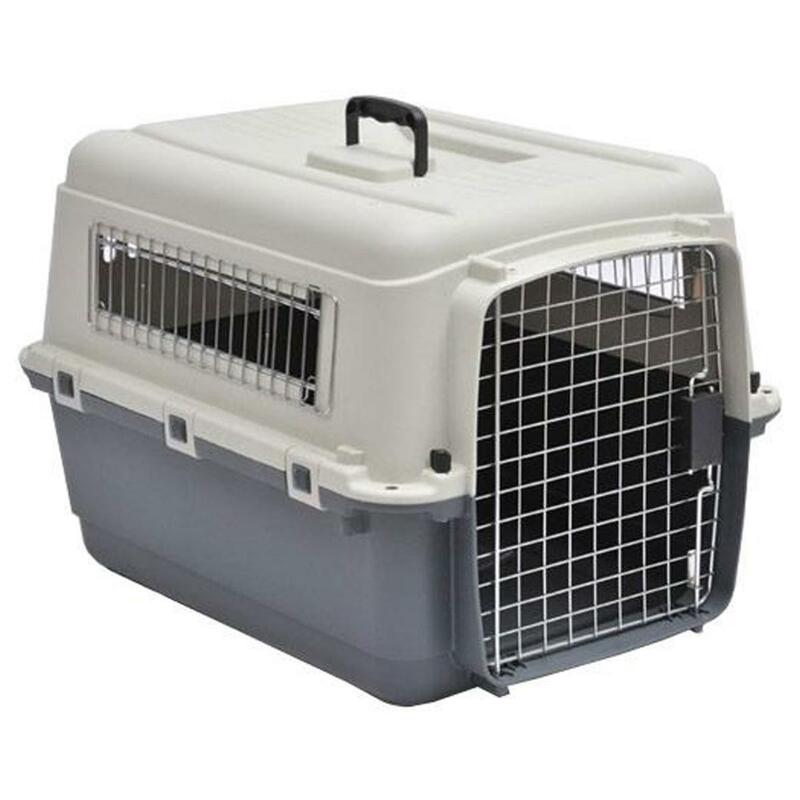 The pet must be able to turn around normally while standing, to stand, to sit erect and to lie in a natural position, while in the crate, otherwise the airline will not accept the pet in the crate. The container's length must be a minimum of A + ½B. The width must be a minimum of 2C. The height must be at least D.
Snub-nosed/Brachycephalic breeds require a 10% larger container as a minimum. A green 'Live Animals' label and 'This Way Up' labels are mandatory on all pet carriers. These are not included with this crate. It also comes with plastic water bowl. Good quality, is in accordance with IATA regulations, we had no probleem flying with it.